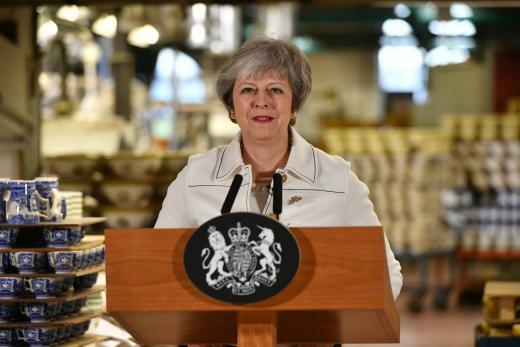 British PM turns to Brexit 'Plan B' - SABC News - Breaking news, special reports, world, business, sport coverage of all South African current events. Africa's news leader. Tags: Brussels, EU, Angela Merkel, European Union, Brexit, Jeremy Corbyn, Mark Rutte, Jean-Claude Juncker, Theresa May, Donald Tuck. Theresa May spoke to Dutch Prime Minister Mark Rutte and German Chancellor Angela Merkel on Thursday, and to EU leaders Jean-Claude Juncker and Donald Tusk by telephone Friday to discuss where to go next on Brexit. British Prime Minister Theresa May unveils her Brexit “Plan B” to parliament on Monday after MPs shredded her EU divorce deal, deepening the political gridlock 10 weeks from departure day. Britain will leave the European Union on March 29 without a deal unless MPs can force a delay or get their act together in time and come up with an alternative plan that Brussels is also happy with. The world’s fifth-biggest economy could lose preferential access to its largest export market overnight, affecting every sector, leading to rising costs and disruption at British ports. London and Brussels have spent the best part of two years working on a divorce agreement but MPs in parliament’s lower House of Commons comprehensively rejected it on Tuesday. May’s government then survived a confidence vote on Wednesday and set about talks with figures from rival parties. But the main opposition leader Jeremy Corbyn stayed away, saying a “no-deal” departure must be ruled out first – something May says is impossible. May spoke to Dutch Prime Minister Mark Rutte and German Chancellor Angela Merkel on Thursday, and to EU leaders Jean-Claude Juncker and Donald Tusk by telephone Friday to discuss where to go next on Brexit. EU chiefs have so far ruled out renegotiating the agreement, but have signalled they could postpone the withdrawal if May changes her “red lines” on leaving the EU’s customs union and blocking free movement of citizens. After May sets out her plans for the way ahead, lawmakers are set to table a series of amendments, to be voted upon on January 29. At least two cross-party groups of MPs are planning to table amendments to enable backbenchers to delay or frustrate May’s proposals. One would suspend the withdrawal process if there is no new deal with Brussels by the end of February. A second would enable backbenchers to choose to debate and vote on Brexit issues, one day a week — breaking the convention that the government controls the parliamentary timetable. May’s Downing Street office has called them “extremely concerning”. “You’ve got a Leave population and a Remain parliament,” said International Trade Secretary Liam Fox, one of the senior Brexiteers in May’s cabinet. “Parliament has not got the right to hijack the Brexit process… and in fact steal the result from the people,” he told BBC television. Britain voted by a 52-48 margin in favour of leaving the EU in a referendum in 2016 that exposed deep divisions in British society. One of the most problematic areas of the divorce deal is the so-called backstop on the Irish border — a legal guarantee that the frontier would remain free-flowing if Britain and the EU cannot agree a long-term free trade pact. Britain could not unilaterally pull out of the backstop. The Sunday Times newspaper claimed that May would propose a separate arrangement with Dublin. “She wants to offer a bilateral treaty to Ireland that would remove the hated ‘backstop’ from the EU withdrawal treaty and prevent a hard border by other means,” the weekly broadsheet said. Aides believe that would help win over Conservative eurosceptics on her backbenches, and the party’s Democratic Unionist Party allies — counted upon for a majority. The DUP are Northern Ireland’s biggest party. Graham Brady, who chairs the Conservative backbenchers’ group, said he thought May could get her Brexit deal past Conservative rebels if the Irish backstop “can be sorted out”. “So much of the vote against was from people who simply cannot support a potentially permanent backstop, if that can be sorted out then I think we might get that withdrawal agreement through,” he told BBC radio. He said it was in Ireland’s interests to help Britain leave the EU with a deal, saying they would be far more hurt by a no-deal Brexit that Britain as most of their trade comes through the UK. Irish Foreign Minister Simon Coveney said Sunday that he and Prime Minister Leo Varadkar were in no mood to support alterations to the withdrawal agreement (WA) or the backstop. “We remain united and focused on protecting Ireland,” he said. Brussels EU Angela Merkel European Union Brexit Jeremy Corbyn Mark Rutte Jean-Claude Juncker Theresa May Donald Tuck. This entry was posted on 21 Jan 2019,05:56AM at 5:56 AM and is filed under World, Homepage Latest Stories Slider. You can follow any responses to this entry through the RSS 2.0 feed. Both comments and pings are currently closed.